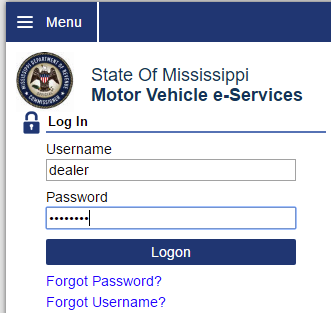 MARVIN is Mississippi’s online platform that Dealers can use to process title applications online! 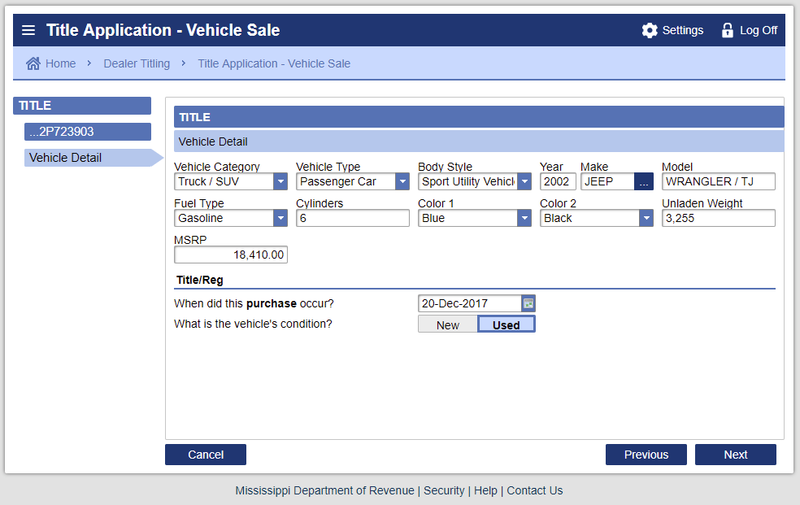 Mississippi dealers can use this Frazer integration to upload deal information directly into the MARVIN system. 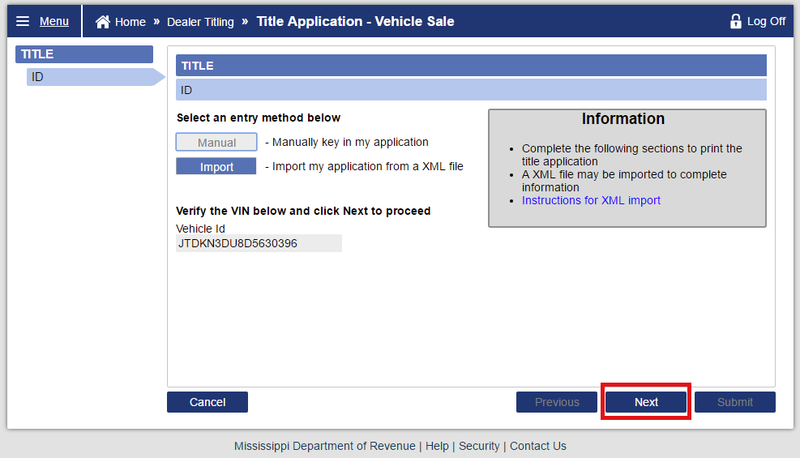 This keeps our dealers from having to enter deal information from scratch when they use MARVIN. MARVIN is a relatively straight forward app when it comes to Frazer, so there is no setup at all. 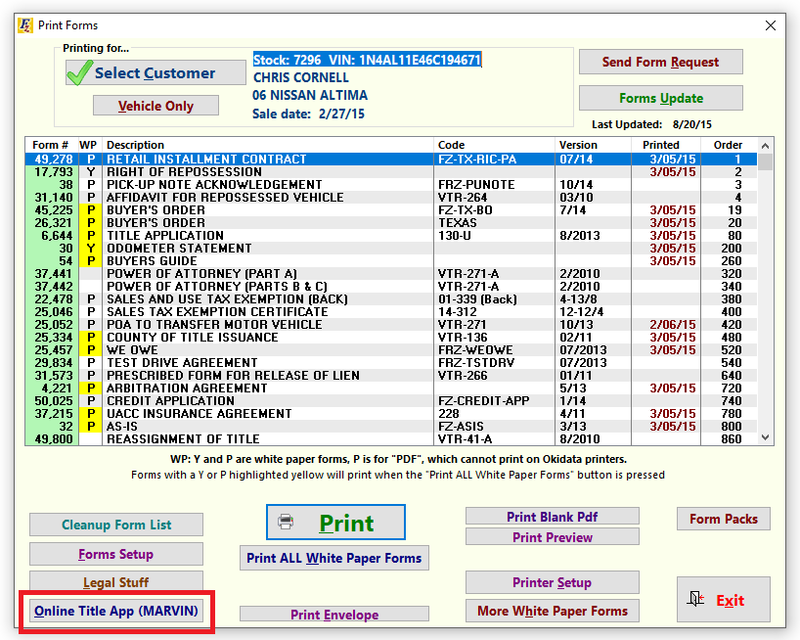 When you’ve completed a sale, simply click Print Forms at the top of Frazer, and with the correct deal selected, click Online Title App (MARVIN) in the bottom left. Behind the scenes, here, Frazer has created a pastable link that you can use to fill in an upload path on the MARVIN website. For now, just click Open MARVIN Website. Click to Login after entering your MARVIN provided credentials. And then click the Import button. 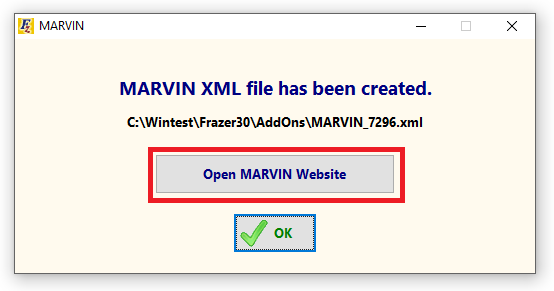 From here, you can either press Ctrl + V to paste the path we mentioned above, or click Choose File to navigate to the MARVIN transfer file indicated on the Frazer screen. 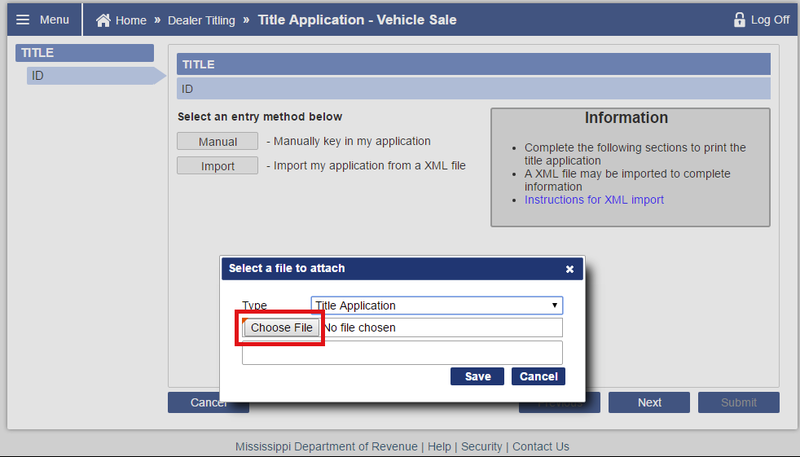 Once you’ve selected the correct file, you can click Next to continue. 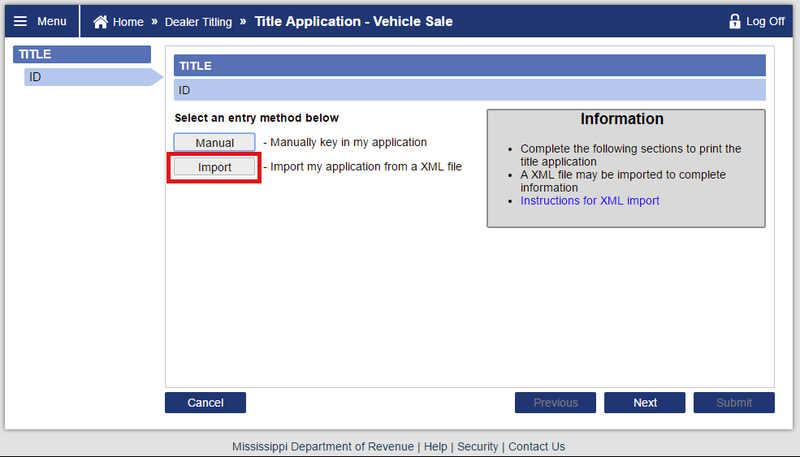 Clicking Next again will take you on to the shopping cart where you can pay for and print your title application. As always, for further questions, please don’t hesitate to contact Frazer tech support at 888-963-5369. OR for MARVIN specific questions contact MARVIN support at 601-923-7200.